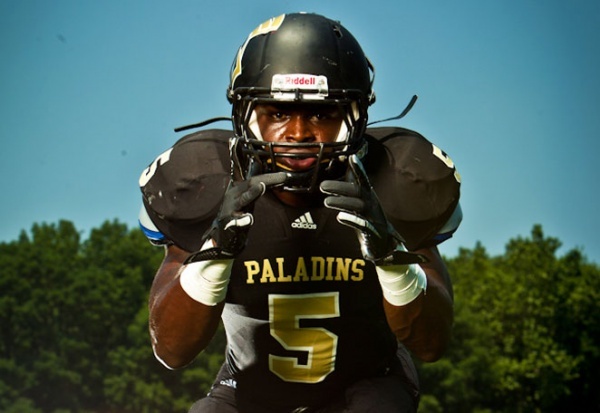 Last night, five-star recruit Jabrill Peppers announced that Penn State is among his Top 4 school choices to play football at. Not only is Jabrill Peppers an absolute talent on the football field, he is also a talented rapper. In fact, J-reall, Peppers’ stage name, just released a new track last night, which is a remix of “Drop It” featuring Torion. This track is very catchy, and it’s impressive that Peppers has time to do this, on-top of the rigorous work he puts in for football. We don’t want to influence his decision at all, but Penn State has the best music scene out of any college on his list, which also includes Michigan, Stanford and LSU. Penn State has the best music venues, best music media outlet, and best music fans out of any school in the country. Jabrill Peppers will be visiting Penn State on May 18th. So, if your are still at Penn State, give him a warm welcome, and show him what Penn State is all about. Also, check out his new track below!